The more our feelings diverge, the more deeply felt they are, the greater is our obligation to grant the sincerity and essential decency of our fellow citizens on the other side. . . . 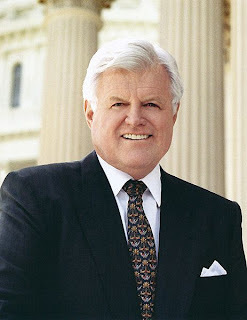 I never was a huge Ted Kennedy fan, not at all. But it was wonderful watching him become substance free over these past 10-15 years. No more slurred speeches; we got to see the natural intelligence of this man flower once he was alcohol free. When I heard of his illness, this was my regret; that his sober and clear headed time on earth would be cut short. My prayers are with his family.